Shearwater Organic Coffee Roasters is excited to be a part of the 2nd Annual Savor CT this year. It is our honor to again create a special blend of Shearwater Organic Coffee beans, SAVOR & SUPPORT, that we will be selling with proceeds to benefit the Robert Irvine Foundation. This year’s Savor CT will be April 7th-9th at the Connecticut Convention Center. There will be a full three days that celebrate wine, food and spirits from an amazing array of exhibitors along with guest appearances, demonstrations and culinary insights from an impressive group of celebrity chefs. Heading up the roster of celebrity chefs will be Host Chef Robert Irvine, star of Food Network Restaurant Impossible. Haven’t bought your tickets yet? No problem, click here and you will be on your way! All proceed from these sales will benefit the Robert Irvine Foundation. 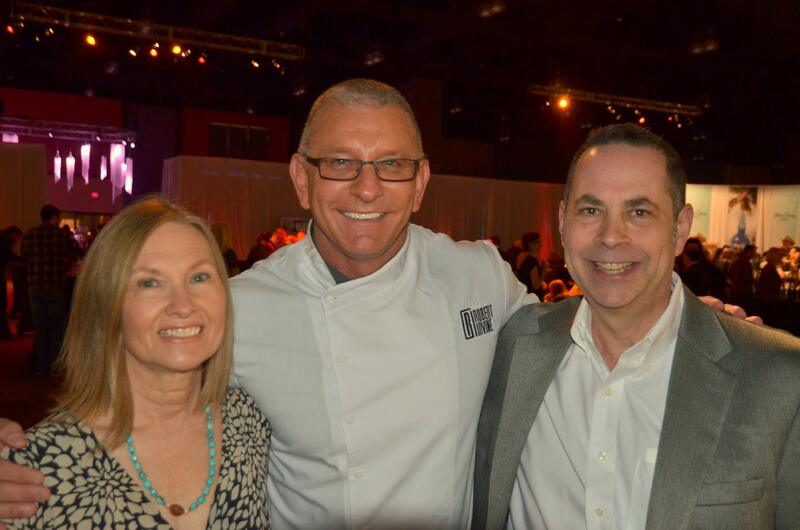 The Robert Irvine Foundation supports members of our military, first responders and their families. 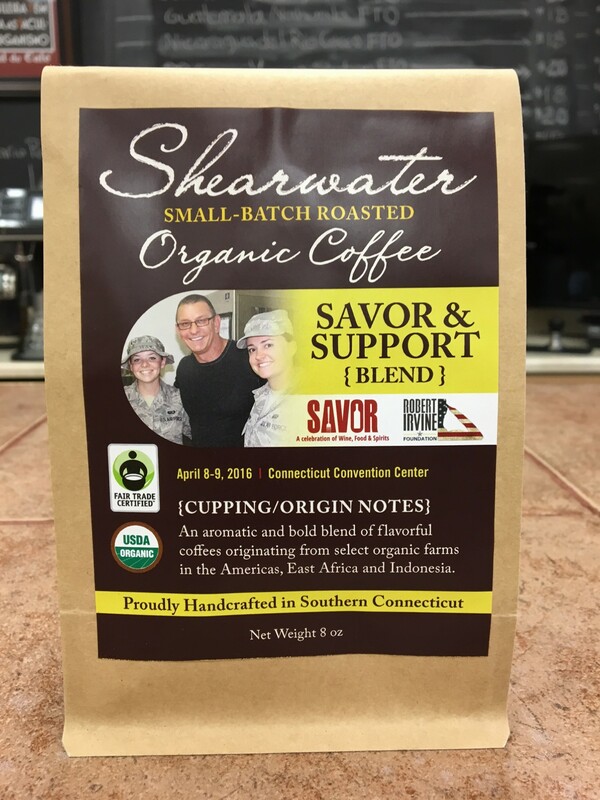 Last year Shearwater was able to donate $500 (100% of our Savor CT coffee sales) to the Robert Irvine Foundation. 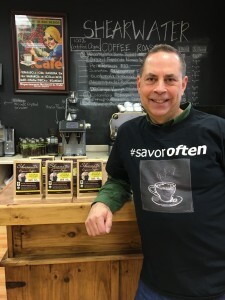 We are hoping to exceed last year’s amount this year so please stop by for a taste, meet Chef Robert Irvine, take a photo and make a purchase to support this awesome cause!